← What is the legacy of P.V. Narasimha Rao…? “I am the Avatar. But tell me, how do you know I am the Avatar?,” Meher BaBa asked one day in January 1953 when he was with a group of devotees. Gaya Prasad Khare, reciting some verses from the Ramayana, said these couplets were enough to convince him Meher Baba is the Avatar. Someone said that none had declared himself as the Avatar as authoritatively as Meher Baba had; hence, Baba must be the Avatar. “But how can you say that I say all this knowingly?,” Baba asked again.”I may be copying the style after reading about previous Avatars. So, the proof is not in saying something in an authoritative way”. 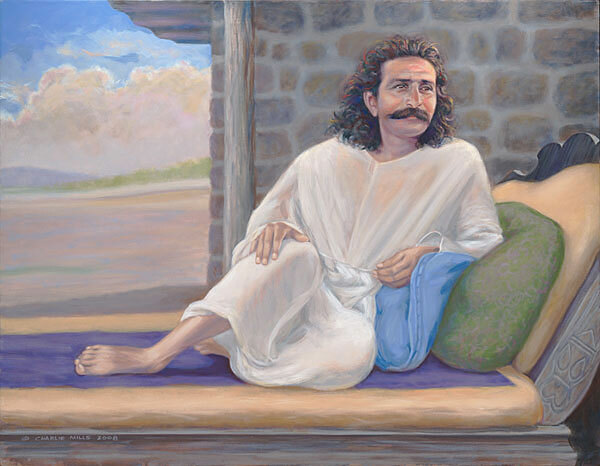 Bandili B. Bapiraju related several of his miraculous experiences, saying they were sufficient proof for him to take Meher Baba as the Avatar. “All such experiences may be due to your love and faith, and as such are far off the mark to prove that I am the Avatar. Of course, as for myself, I have the experience that I am the Avatar. But, however much you say, I do not feel convinced that you really know that I am the Avatar. To know me as the Avatar, to know me as I am, you have to be what I am! “One day, Upasni Maharaj, when we were alone in his hut, said to me with folded hands, “You are the Avatar.” Now, although it is a fact that the Avatar, God, and you all are One, yet all that I want you to do is to love me, obey me with full faith. “O Hafiz! Don’t bother about anything. “To make the point clear, suppose there is a rail engine with five or six bogies attached to it. Some contain gold, some silver and some cow dung. But as long as the link with the engine is maintained, all are safe and will reach the same destination. But no sooner is the link snapped, than the wagons shall be where they are. “So, don’t bother about your thoughts, whether good or bad. Bear in mind that all thoughts are illusory. The only reality is to catch firm hold of the daaman. “It is beyond doubt that the Avatar is the Avatar. In the case of the Avatar, God takes human form – rather, God descends in human form. The glory of the Sadguru is unfathomable. In his case, man has become God. When the Avatar descends, there are five Perfect Masters who sustain him. These five have always sustained me: Sai Baba, Upasni Maharaj, Babajan, Narayan Maharaj and Tajuddin Baba. “Sai Baba was Perfection Personified, a very rare type even among Sadgurus. Babajan was after all the Shahanshah – the Emperor of Masters – Kings. “So, there are five Perfect Masters who sustain me from eternity. In every age, when I come, they sustain me. Sai Baba made me what I am; Babajan made me feel what I am; Upasni Maharaj made me know what I am. And what I am, I am! “So, let us now bow down to these three Perfect Ones. Baba then bowed to the photographs of the three Perfect Masters displayed on the veranda. this time, because of Baba’s animated nature, the mandali had almost forgotten that he was silent, but when Baba stopped writing, they became keenly aware of it once again. ( From Lord Meher by Bhau Kalchuri). This entry was posted in Meher Baba Speaks, News and tagged Avataric Legacy, Meher Baba, Perfect Master, Sadguru, Sai, Silence, Upasani. Bookmark the permalink.